The NAASAS Advisory Council is a group of knowledgeable and experienced professionals in the adult industry that provide counsel regarding issues of importance to the Association. The Council consists of committees representing the pillars of the adult industry. Council members are appointed by invitation and represent those in the industry that strive for excellence in their field. Courses will include the work of Marty Klein, Ph.D., Philip D. Harvey, June M. Reinisch, Ph.D., Ruth Beasley, M.L.S., Paul Joannides, Richard A. Posner, Katharine B. Silbaugh, Edward D. Hess, Patrick O'Keefe, Stefanie Iris Weiss, Karen Bedinger, Constance E. Bagley and others. 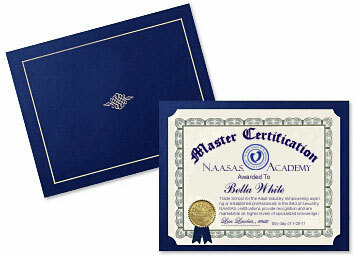 NAASAS is offering the first school specifically for professionals in the adult industry. Courses are home study and college level with required text books and exams. The best part is that any NAASAS member may apply as there are no prerequisites to take these courses. Once courses are successfully completed, students are provided with certification, which demonstrates education and excellence within the field of sexuality. These courses provide marketable recognition for higher levels of specialized knowledge in sexual health, adult legal and adult business practices.